This month we’re profiling Anna Muir, another star on the Bean Ninjas team! Read on for a peek at what makes her so successful. Anna is a qualified Chartered Accountant, who came to Bean Ninjas after several years working in traditional corporate accounting firms and completing her tertiary and professional study in Brisbane. Anna relishes the flexibility that a career with Bean Ninjas provides. She loves being part of a dynamic team that supports each other, despite working remotely across the globe. Anna enjoys the ongoing development that working with online businesses and the constantly changing ecommerce landscape. Anna lives in a stunning part of the world, after her husband landed his dream job as a government analyst in the Byron Bay area. Anna saw this move as a chance to fulfil her lifelong dream of becoming a yoga teacher. After some time away from her professional career, Anna saw an opportunity to return to her professional career by working with Bean Ninjas. A career with Bean Ninjas meant she could continue to teach yoga, whilst living in a beautiful part of the world and have time for family and friends. Anna’s role with Bean Ninjas is completely remote, allowing her to make the most of her time. She is able to spend more time doing the things that are important to her. This way, Anna can have a rewarding professional career, teach Bikram Yoga and spend time with her family. Anna Muir’s family has recently grown to include a big German Shepherd dog, meaning she doesn’t like to be away from home for extended periods. So, working remotely works perfectly for her. It’s all about team spirit! For Anna, one of the best parts about working at Bean Ninjas is the team environment. Although Bean Ninjas have team members across the USA, UK, Australia, and the Philippines, she never feels like she’s dealing with a problem alone. As she puts it, there are always plenty of people to bounce ideas off of, and there’s a good level of transparency and collaboration, so everyone is on the same page. 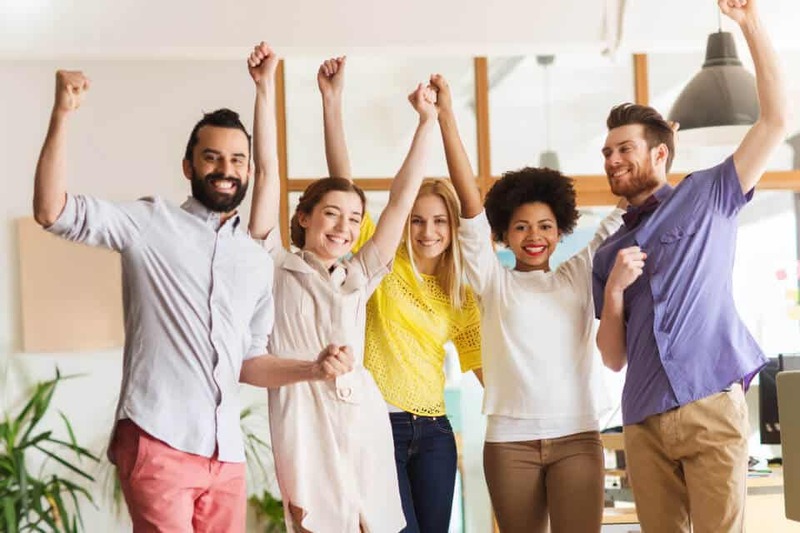 The Bean Ninjas environment does all of this, despite the fact that the team only has occasional catch-ups at the office with some of the Australian team members. It’s so easy to communicate within the team, even with team members all over the world. Anna loves learning and developing in her role at Bean Ninjas. Before she joined Bean Ninjas, it had been a few years since she had worked in accounting or bookkeeping. While she admits accounting principles remain the same, the changes in technology mean she’s never bored keeping up with new cloudware, communication, payment platforms and other technology. And, through this learning that the team shares, she gets to watch the company grow: one of her favorite parts of working at Bean Ninjas. In the past, she has worked for middle-sized and big-listed companies and has always had to follow protocol to find solutions, often ineffectively. At Bean Ninjas, she gets to see leadership in action, and watch and contribute to innovative systems as they are being developed. She gets to watch the business grow before her very eyes. Anna Muir’s personal philosophy is that it’s critical to work on yourself first. Once you are the best version of yourself, everything will become easier, and this will enable you to help others. In fact, Anna’s definition of success is being happy. It might mean something different to everyone, but being happy and making life work for you is the real achievement. She wants to be happy with herself and what she is doing, but still have a sense of adventure, and get that rush of adrenaline. She would hate Groundhog Day! Anna recently completed the Everest Base Camp Trek, knocking that enormous item off the bucket list, but there are still quite a few things left on it that she’d like to do. For example, seeing The Rolling Stones live, going on a safari in Africa, and seeing a mola mola (sunfish) while scuba diving. Consistent with that fearlessness, Anna says that if she could, she’d advise her 13-year-old self to stop worrying about what others think. Only worry about those who are important to you, because they’re the ones who matter. In fact, you don’t have to worry about anything, if your intentions are good! Anna’s greatest challenges and accomplishments in life have been completing the Chartered Accountant program and the Bikram Yoga Teacher Training. The teacher training involved 9 gruelling weeks comprising of 22 hours of classes per week, all while Anna was staying with a roommate at LAX airport, where the training was being held. Add to that the crazy temperatures of the yoga studio (Bikram is conducted in a room that is heated to 40 degrees Celsius), and people all around you “fainting, and being carried out.” It demonstrates the dedication, commitment and strength of character that Anna has for yoga and the other parts of her life. But, it turns out that the training was the easy part. Standing up in front of a class and having the faith to teach was much more challenging – a challenge that Anna overcame and now excels in. You can find her teaching classes at Hot Yoga Gold Coast in Burleigh, Bikram Yoga Byron Bay and Bikram Yoga Southport. If Anna had to describe herself in three words, they would have to be loyal, reliable, and interested… in absolutely everything (the body, how people tick, different cultures, how things work, why things don’t work, etc.)! Anything can be fascinating if looked at with curiosity and enthusiasm. As for true leadership, according to Anna, that means moving in the right direction with everyone supporting you, something Anna often displays. When it comes to inspiration, Anna wishes she had been able to speak to the author, entrepreneur, and speaker, Jim Rohn when he was still alive. She also believes in the value of the podcast Conversations with Richard Fydler for people from a variety of backgrounds. Tim Ferriss and Napoleon Hill are also big inspirations for her. She also enjoys reading Tony Robbins’ work and recently went to one of his events. As a child, Anna loved to play with planes and cars. In fact, she actually wanted to be an astronaut when she grew up! Although she didn’t get to follow that career path, she is planning to try out gliding soon, and has an eye on getting her pilot’s license. Document everything! While it may feel like you can remember everything at the time, you really can’t. It just makes things easier to have all the information down on paper. There’s usually a way out! Even when it looks like you’re completely stuck, try thinking outside the box, as many business leaders and entrepreneurs have done, to solve your crisis. Very few things are irreversible! We all tend to over-analyze situations and look for the perfect solution before we decide to take action. Sometimes, any action at all is better than no action. 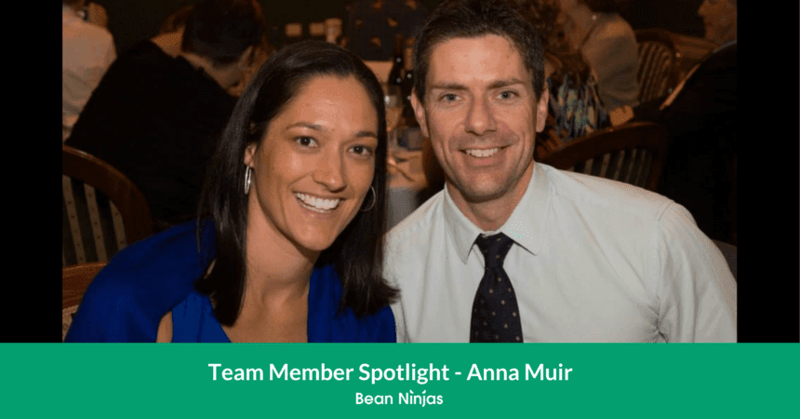 Anna Muir’s authenticity and integrity not to mention her skills and professionalism have absolutely contributed to Bean Ninjas stellar environment. We definitely have a winner on our hands! At Bean Ninjas, we’ve mastered how to build a high-performing team across multiple continents. That’s helped us discover quality talent like Anna Muir. Contact us to learn more about our incredible team and how we can help you.